I’ve been spoiled a bit lately with the bourbons I’ve been sampling. Pappy Van Winkle, Eagle Rare 17, even the local spirits have been impressive. And I have plenty more quality beverages to sample in the near future. 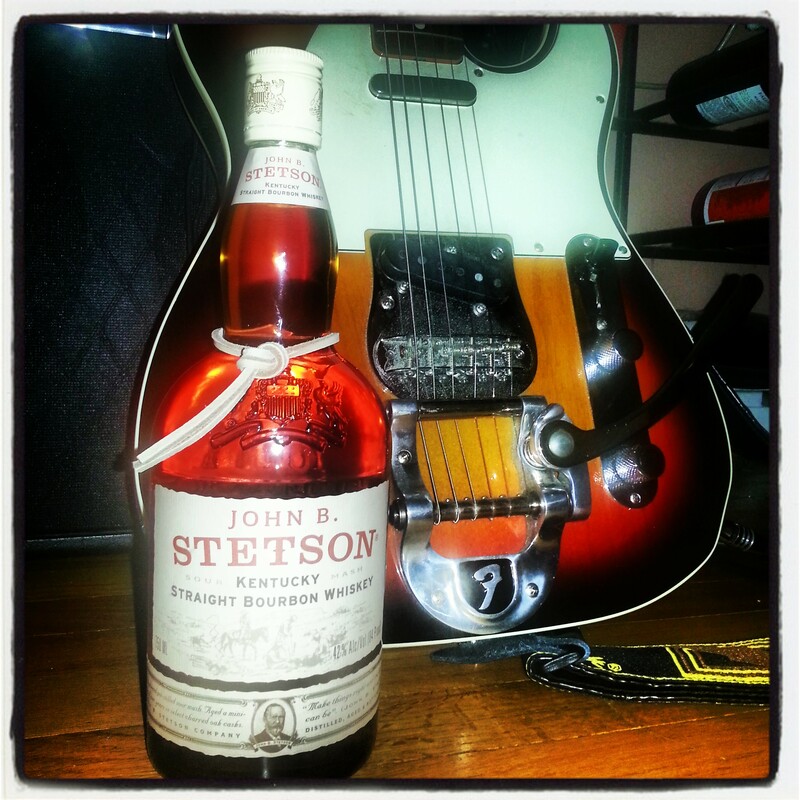 But today I turn my attention to a bit of an odd one: The John B. Stetson Bourbon. Now, I appreciate a good Stetson hat. Growing up with a love for country music, how couldn’t I? But a Bourbon produced for a company famous for hats and western clothes – color me skeptical. I purchased the bottle in Kentucky, unaware that it was available here in Michigan. It’s certainly an attractive enough bottle, with it’s leather tie and old style label. My take: On pour, this bourbon is light. Very light. Not at all the darker hues I’m used to, it has an amber clearness to it. Looking online, the belief is that it is a four-year-old bourbon, and there is much speculation as to where the juice is sourced from, before being labeled and bottled for the Stetson company. The nose reflects this – it is light and airy at first, and slowly opens up to reveal a corn syrup smell, with a sharp alcohol bite. It’s a rye/wheat blend (in addition to the usual barley and, of course, corn), but has only the lightest spiciness (baking spices, not pepper) in the smell. To me it tasted very much as I suspected it would: very light and almost watery with a corn sugar opening. It never really heats up too much, and while very light hints of allspice, and a trace of butterscotch are present, it tastes…young. The finish is quite smooth, but very short, and didn’t burn at all (which is fine with me). If you gave me the choice between this and a Stetson hat, I’d probably take the hat. But it’s not a bad bourbon, just a little young and a little light for my tastes.